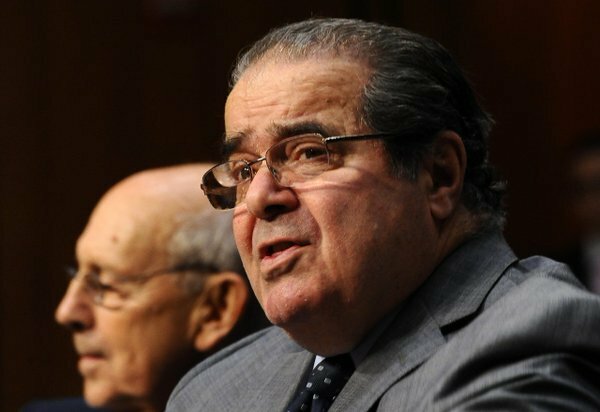 Antonin Scalia, the influential conservative and most provocative member of the Supreme Court, has died. He was 79. It isn’t disrespectful for @POTUS to use his power to quickly nominate a replacement. 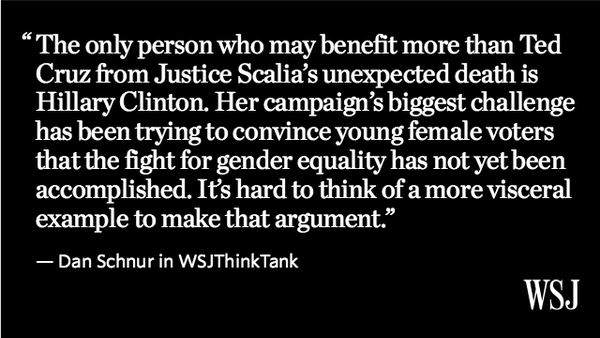 Scalia, a strict constitutionalist, might agree. 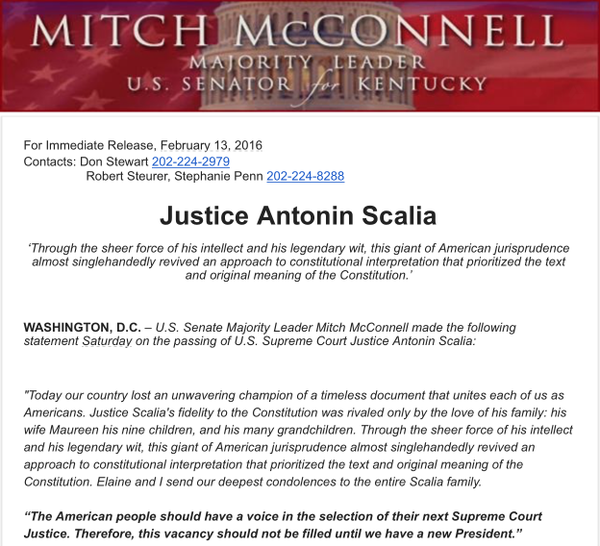 Justice Scalia was a lion on the court & an unwavering defender of the Constitution. Will miss talking books & history w/him. 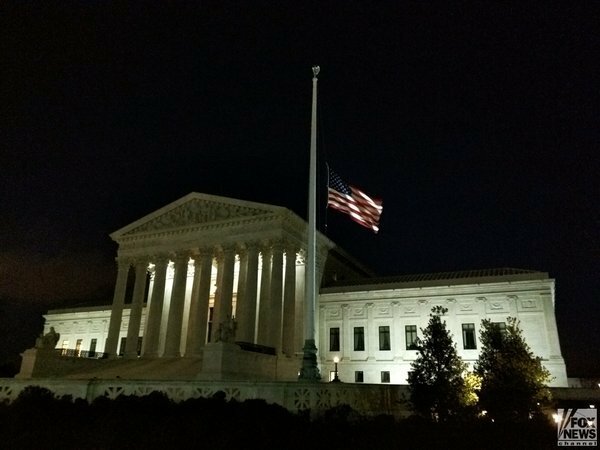 The Supreme Court & the nation have lost a strong and thoughtful voice. 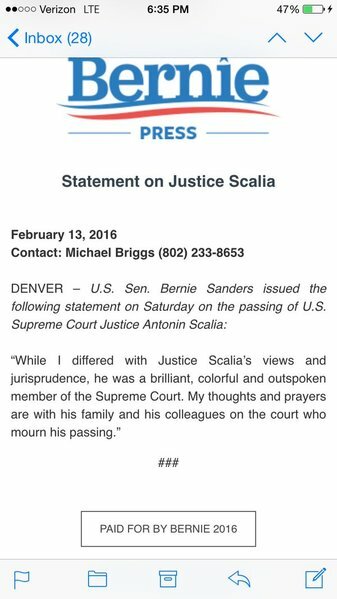 My thoughts and prayers are with Justice Scalia's family. 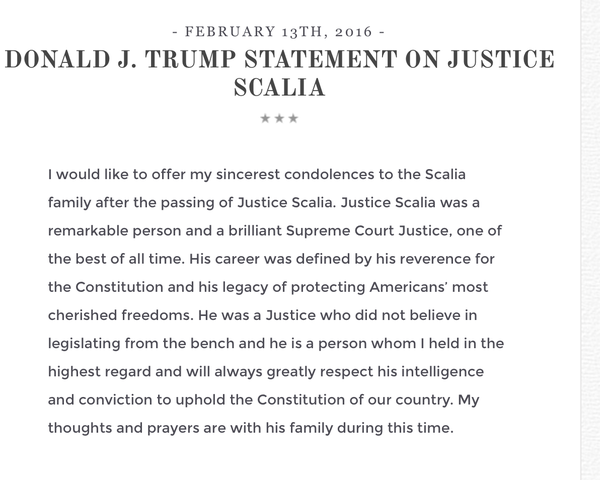 RIP Justice #Scalia, and thank you for defending the Constitution. 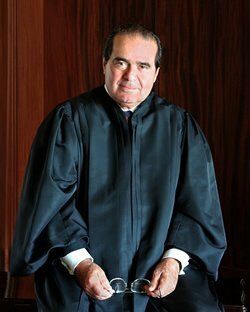 Prayers for the soul of Justice Scalia and his family. 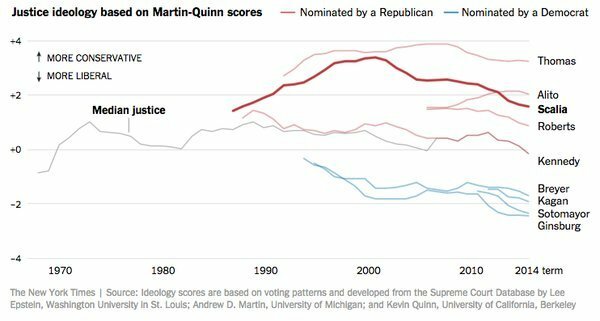 Scalia loved his religion. Hope that helps now. Finally cooperated with a Democratic Administration. Props 4 that. 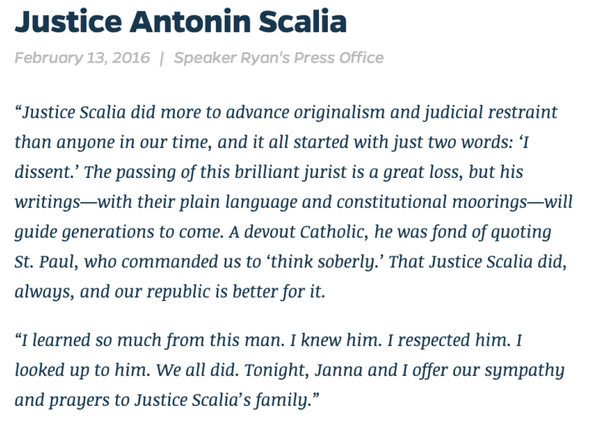 God bless.
.@ChrisChristie on Justice Scalia "He was an example and inspiration, and a leader we are proud to call a native son of New Jersey." 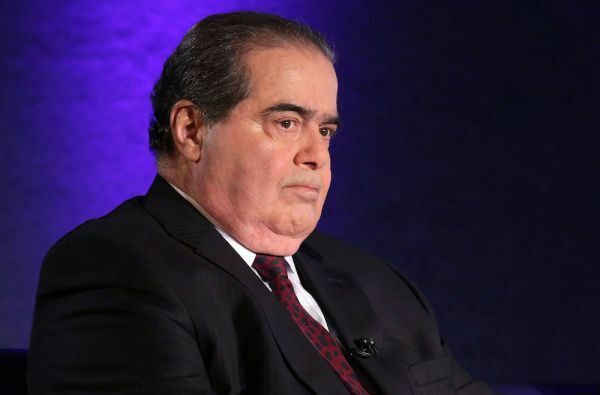 Justice Scalia: "A Constitution is not meant to facilitate change. It is meant to impede change, to make it difficult to change." 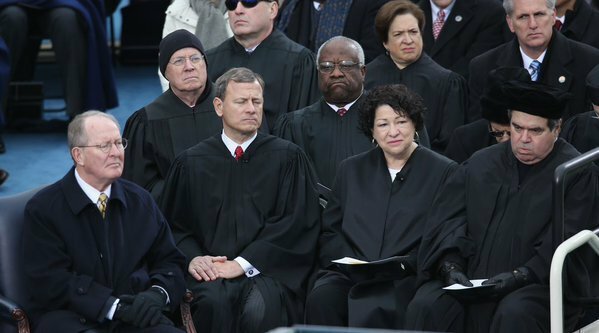 Justice Antonin Scalia served our nation for almost 30yrs. My prayers & condolences to his wife, their 9 children, and the entire family. Scalia was a Yankees fan in Queens when he was old enough to be a Brooklyn Dodgers fan. I loathe baseball but even I know that's evil. Favorite recent Scalia memory: When he and Kasich bumped into each other at the WH Corres Dinner, Scalia said: "Kasich, rhymes with basic!" 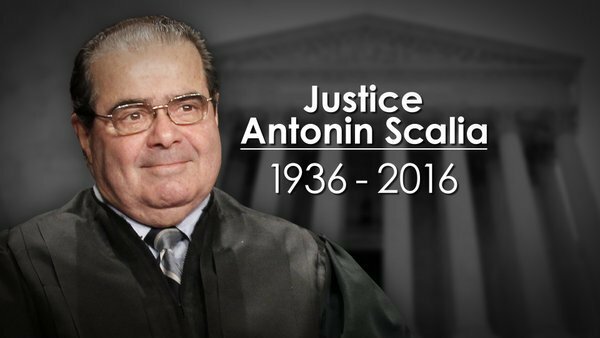 RIP, Justice Antonin Scalia. You served the Republic well. You fought the good fight. Godspeed to you, sir, from grateful fellow citizens. Scalia: "I attack ideas. I don't attack people. And some very good people have some very bad ideas." 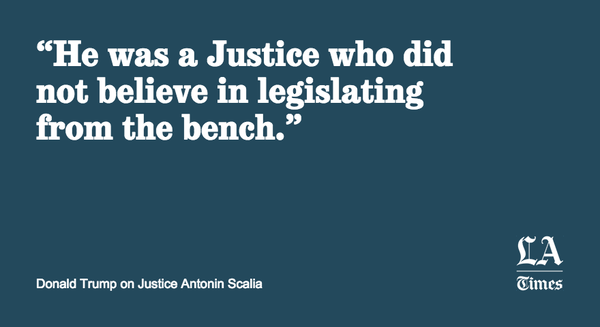 Justice Scalia was a man of principles and a quick wit who was popular among his peers. He will be missed. Prayers are with his family. Bill Maher last night on SC blocking Paris #climate accord: "How can we get anything done when we have to run it past Scalia first?" 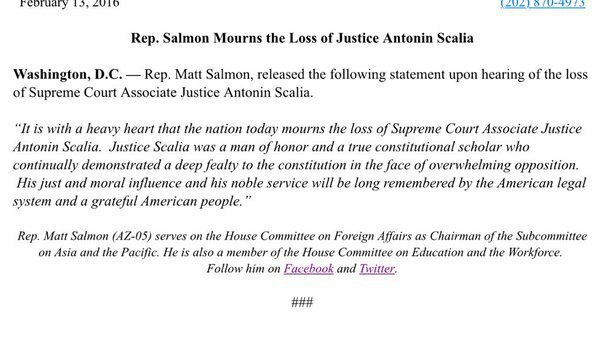 My thoughts and prayers are with the family of Justice Antonin Scalia. 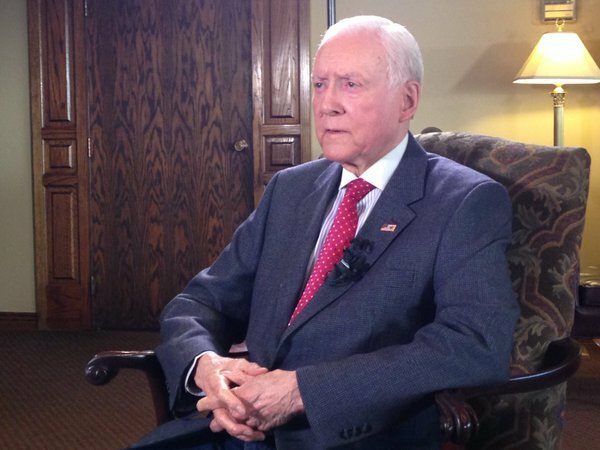 Our country thanks him for his years of devoted public service.